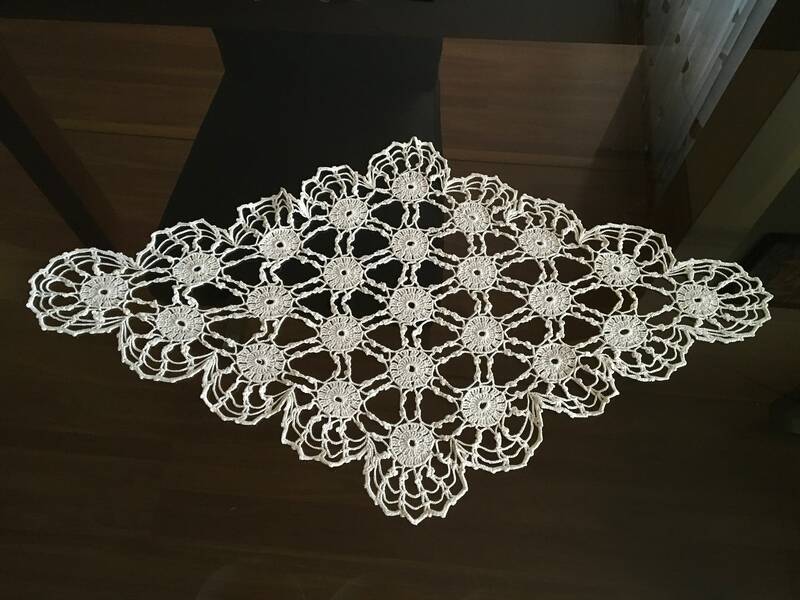 Dimension: 70 cm/ 40 cm, 28"/16"
These beautiful crochets are made by my Mom. 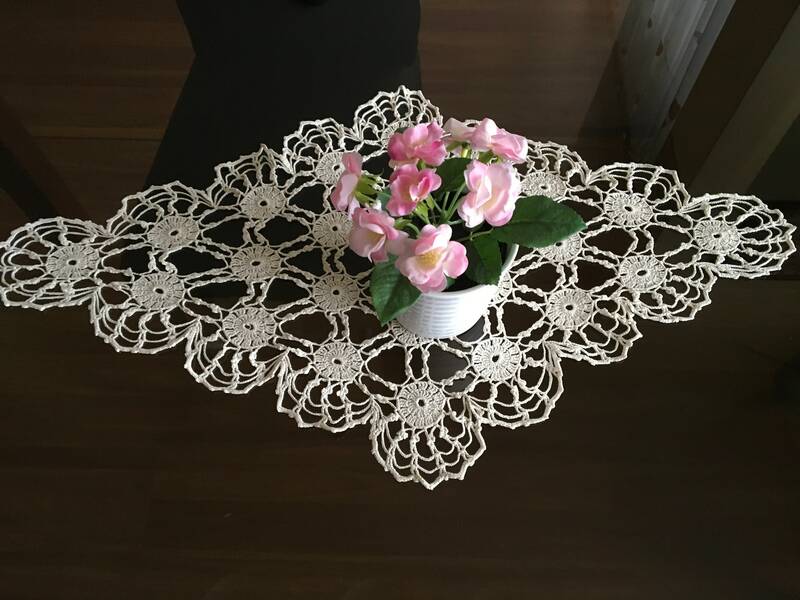 Handmade crochet tablecloth made from 100% natural cotton of the highest quality. 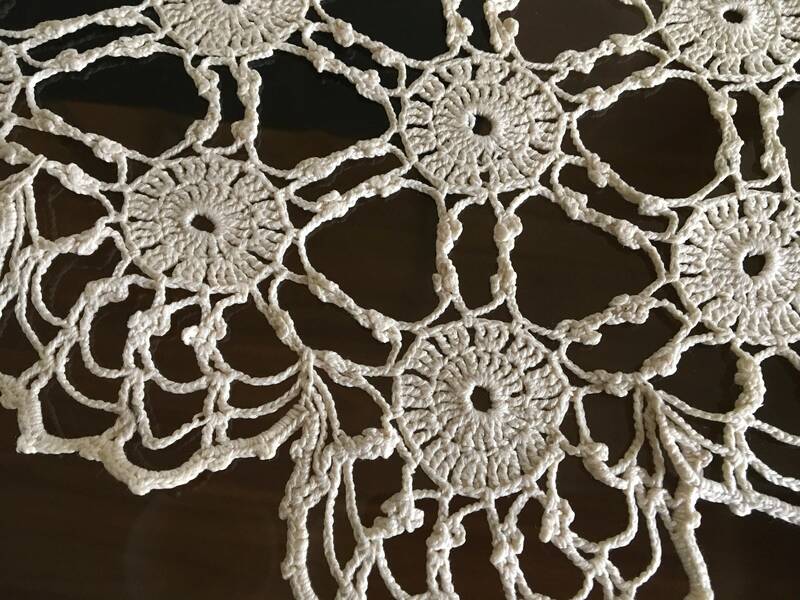 Tablecloth with an astonishing and unusual floral pattern will delight you and your loved ones. It can be used as well as for a celebratory table and for everyday use.